Smead Top Tab File Folder - 8.50" x 14"
Top-tab folders are ideal for organizing files or archives. Sturdy, acid-free 11 point stock protects documents. 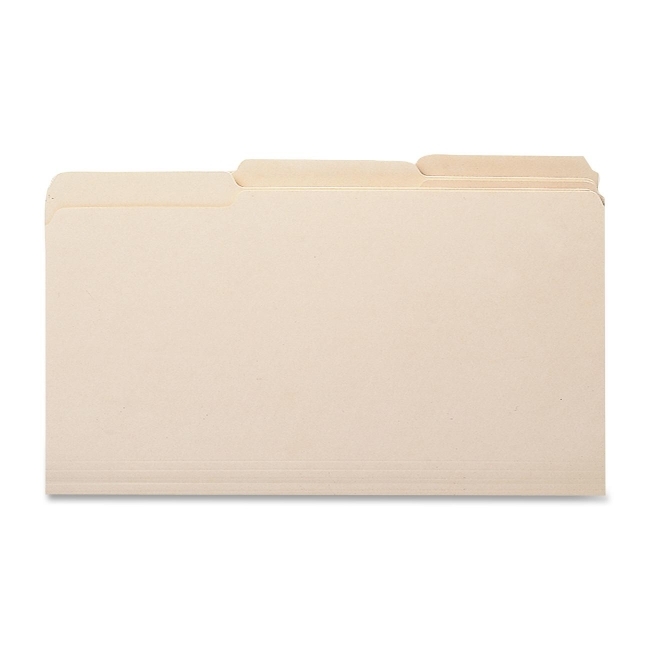 Folders have assorted 1/3-cut tabs that are single-ply and 1/2" high. Corners are rounded in front and back. Each folder is scored for 3/4" expansion. Contains 100 percent recycled material and 30 percent post-consumer material.